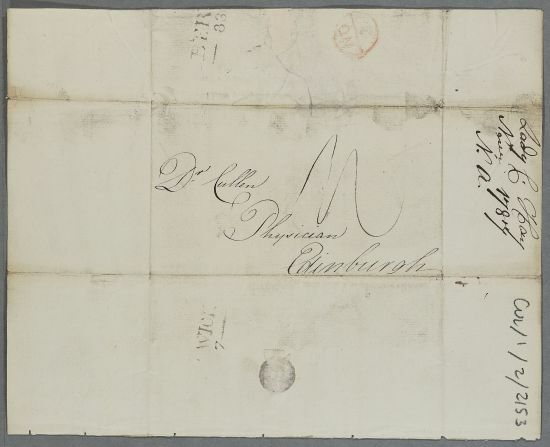 Letter from Charlotte Hay, concerning her own case. She also sends the compliments of her mother and her sister Augusta 'who has not suffered in the least from Kelso Races'. 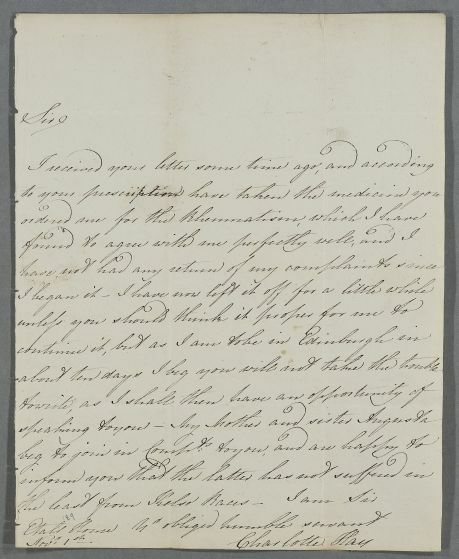 Summary Letter from Charlotte Hay, concerning her own case. She also sends the compliments of her mother and her sister Augusta 'who has not suffered in the least from Kelso Races'.